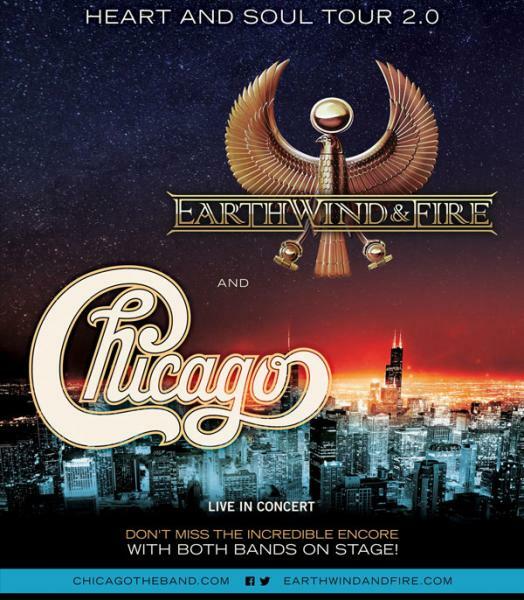 Due to Popular Demand - EWF and CHICAGO have added more dates to their Heart & Soul Tour!! Earth, Wind & Fire, Along with Chicago, Receives Jimmy Kimmel Love! In anticipation of the Heart and Soul Tour, Jimmy Kimmel had the bands perform on his show. Check it out! The newly-named Ascend Amphitheater in Nashville, TN will host Earth, Wind & Fire along with co-headliners Chicago Aug. 1. Earth, Wind & Fire, along with co-headliners Chicago, kick off the tour July 15 in Concord, CA. Fan Club pre-sales begin today for 25+ shows. Log in to your fan club account now for all the details! Stay tuned for upcoming show announcements!